Well, my twins did go away to Milson Island, one of the NSW Sport and Recreation Kids Camps. They spent four nights there, accompanied by one of their friends who is a year older than them. They did a ‘Kids Cooking’ camp, in which they cooked for part of the day and did lots of outdoor activities the rest of the time. They came home delighted and completely exhausted… and then made chicken tenders many times. The main web page for Sport and Rec camps is here. 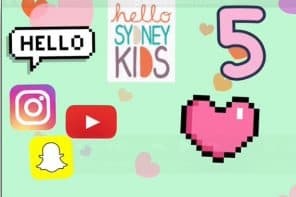 The Kids’ Camps page is here. Some friends of mine have recently been raving about going on a Sport and Rec Family Camp. Have you heard of these? 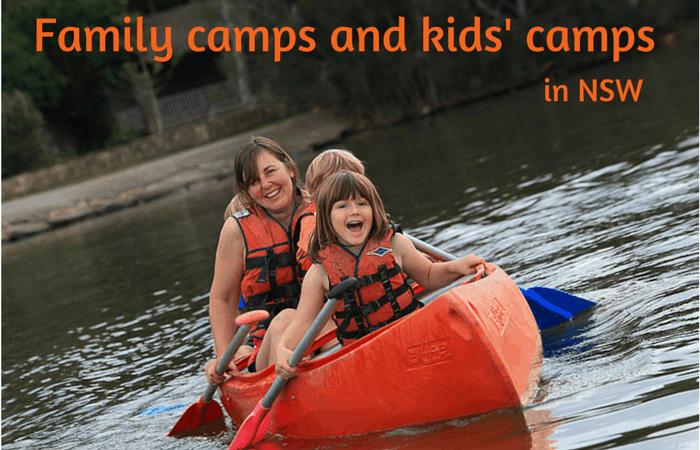 Family Camps are basically an all-inclusive family holiday with food, accommodation and activities included. 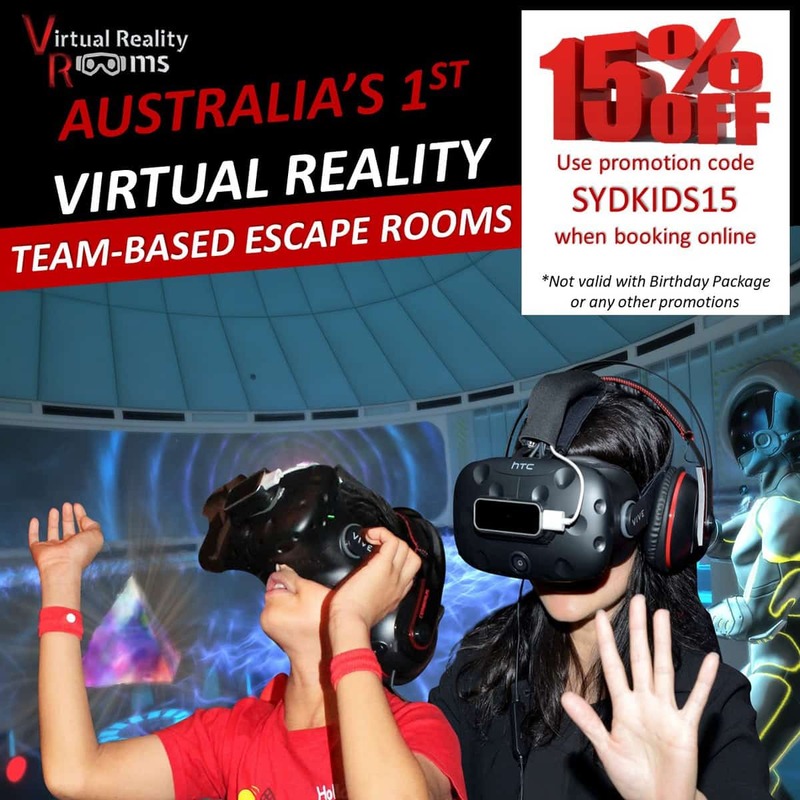 Costs start at around $700 for two adults and two kids aged 5 – 17 so these camps are much cheaper than a resort. Most are for two nights and three days but they can be longer. Read about current Sport + Rec Family Camps here. 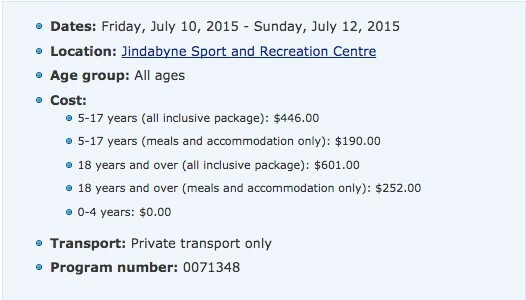 All-inclusive ski weekends in Jindabyne are more expensive, as you’d expect. Here’s an example of one of the family weekend costs. Groups can also hire facilities for their own camp, read more about Group getaways here. 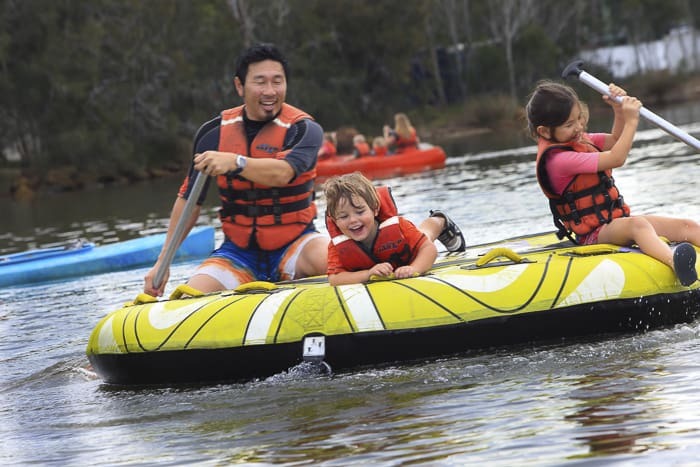 Sport and Recreation has 11 centres in NSW, set in stunning locations with over 40 different supervised activities on offer. A great variety of holidays are available and they change each school holidays, so check them out before you book your next holiday. The twins and I are chatting about doing one next school holidays. There’s a fishing one called ‘Hook, line and sinker’ available at two locations and I’m sure they’d enjoy that. 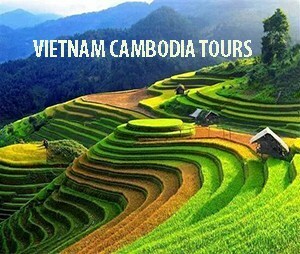 The cost is $370 for all accommodation, food and activities for the five days. On the post where I wasn’t sure about sending the twins, many people commented here on the blog and on Facebook that they’d gone to Sport and Rec camps as kids and had a great time, making friends and wonderful memories. I love seeing my kids becoming more independent. And to be honest, I love the freedom their independence gives me. So now, I’m off to phone around to see if any other friends’ kids would like to join mine in a Kids Camp next holidays. Do you send your kids to camp? 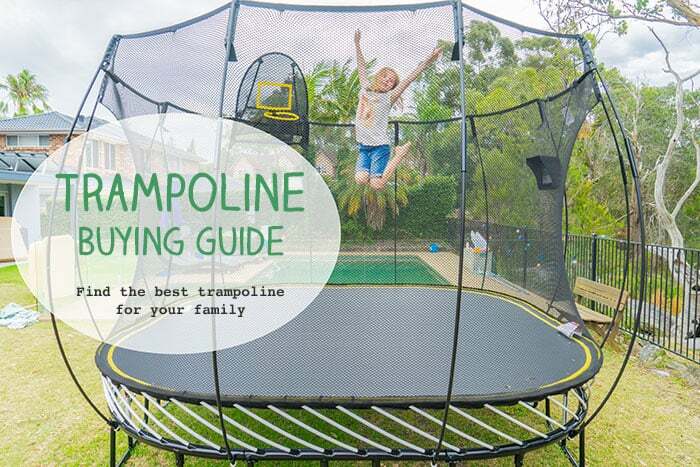 Have you done one of the Family Camps yourself? I did a family camp when I was young with my family (so a long long time ago) I remember it was heaps of fun. Thanks reminding me about this! I love the sound of the family sport recreation camps, especially when you have energetic boy like mine. 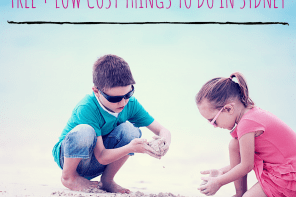 A great way to try new activities, learn new skills, with the budget already set and have fun as family. 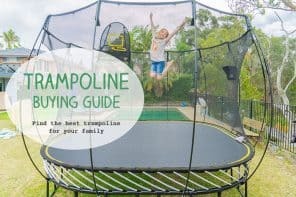 Hello, pleased to read this family camping activities and I would love to attend. Is there any schedule placed in September month? 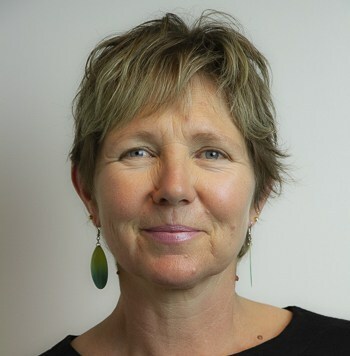 Hello Samantha, have a look at the website during next school term and I’m sure you will see the camps for the next school holidays. The Family camps page has camps all year round though.